Gotham has spent more than four years paying tribute to some of the biggest Batman comics from DC's history, with books like Hush, The Killing Joke, and others getting their own moment to shine. During Thursday night's episode, titled "Penguin, Our Hero," Frank Miller's classic Dark Knight Returns was put front and center. Much of the episode followed Selina and Bruce on their quest to the Dark Zone to track down Jeremiah Valeska. After taking the seed to fix her back in second episode, Selina was reborn with a new, dangerous attitude, and she was hell-bent on finding the man who shot her. On the way to take out Jeremiah, Bruce and Selina were stopped by a malicious gang led by a massive man that was never named, but he was very clearly an homage to a character from Dark Knight Returns. 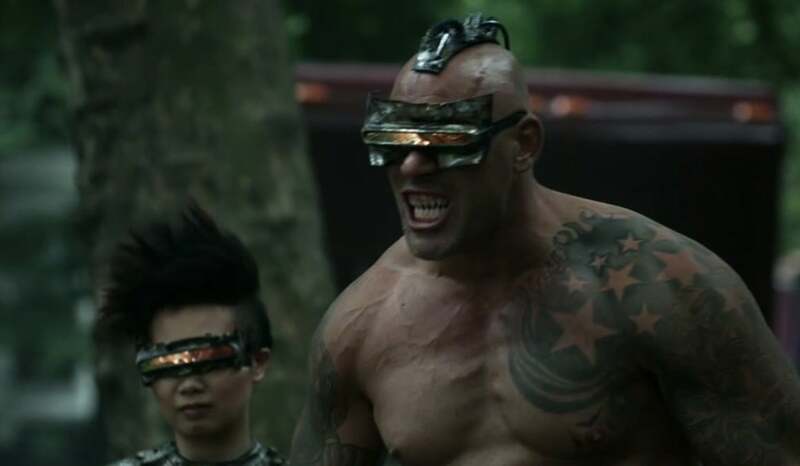 Just one look at the guy and anyone who read Miller's iconic title could immediately recognize him as the one and only Mutant Leader. Not only does Mutant Leader have his pitch-perfect look from the comics, but he also delivers one of the lines that made people remember his gang. When first confronted by Selina, the Mutant Leader instructs his gang members to "slice & dice." Unfortunately for him, it was Selina who did the slicing and the dicing, as she decided at the beginning of the fight that she was going to take him down. She succeeded rather quickly and managed to put the Mutant Leader on the ground, trying to get Jeremiah's location out of him by clawing his face with her razor gloves. Even when the guy gave up Jeremiah's whereabouts, Selina continued hacking away, and she likely would have killed him had Bruce not intervened. It would be surprising if Mutant Leader showed up again at some point later in the season, but it was certainly nice to see a tribute to Miller and the work he did with Batman.